Very happy that Medium’s Personal Branding Channel features my 5 Things to Spring Clean Your Brand. This is the third article that has been accepted into the Personal Branding channel. I am honored to be a Medium writer because Medium is one of the largest blogs on the Internet. You have to attain a certain quality level in order to receive approval. 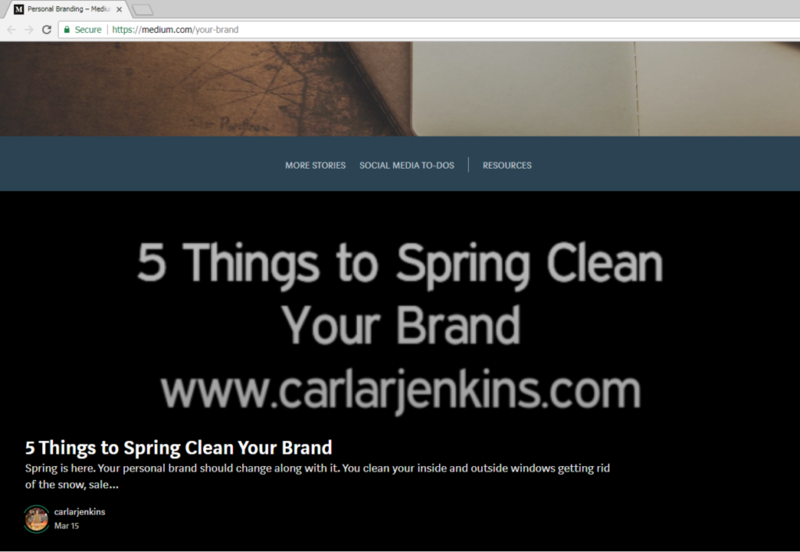 Check out my new 5 Things to Spring Clean Your Brand on the Medium Personal Branding Channel.